It all started with Janet Napoles, known as the Pork barrel Queen who allegedly stole P10 billion from the taxpayers and her highness Princess Jeane Napoles, became an internet celebrity, as she flaunted the lavish lifestyle online all her two Porsche's, apartment in the Ritz-Carlton, expensive items, shopping abroad and partying at Hollywood with known personalities. 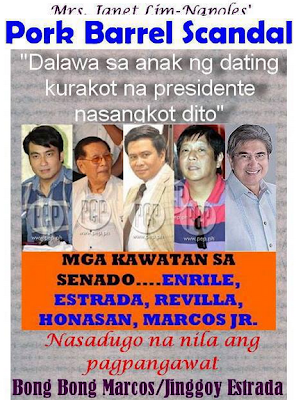 Jeane is the reason the taxpayers are now aware of her mother's involvement in the scam together with six senators and 28 congressmen even though the politicians denied their involvement with Janet. 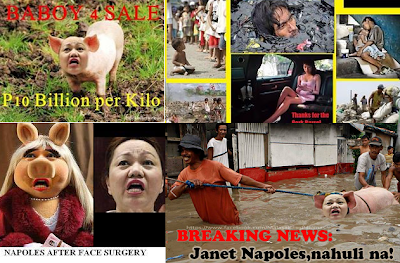 Now that the pork barrel scam is out in the public, Janet, was declared a high profile fugitive after she escaped arrest on illegal detention charged by the whistleblower in the pork barrel scam. 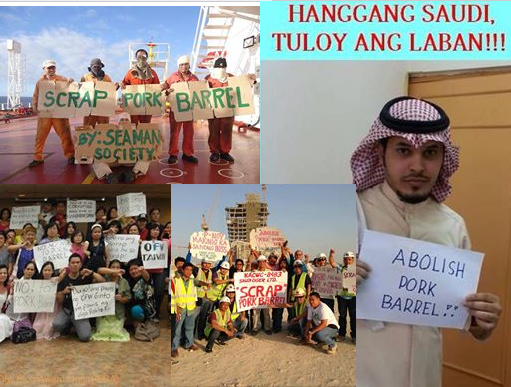 Janet is hiding and nowhere to be found. Some think that, the politicians helped her escape out of the country, she already had a plastic surgery, or she may even be dead as of this time. 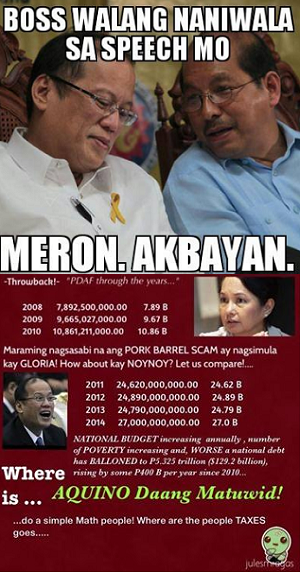 Well, nobody knows. 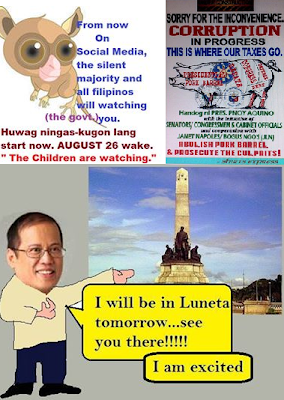 All the Filipinos cares about right now is to punish all the politicians involved in the scam, as well as to scrap the pork barrel. 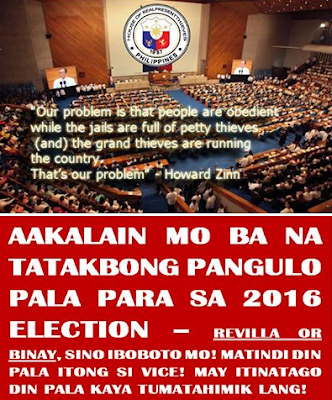 Graft and corruption must end, but with all the kind of politicians we have that might not happen. 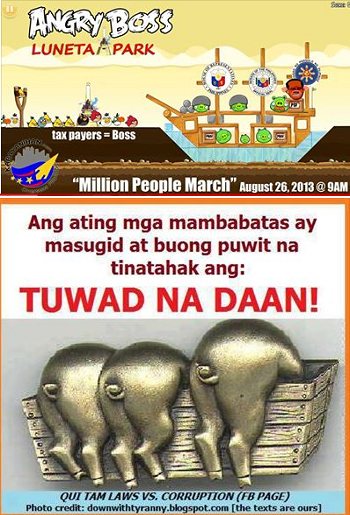 Filipino's showed their disgust through a peaceful rally at the Luneta Park on 26th of August, from 9 am onwards. 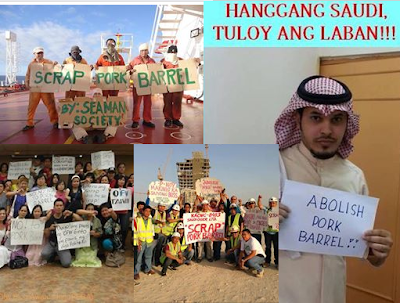 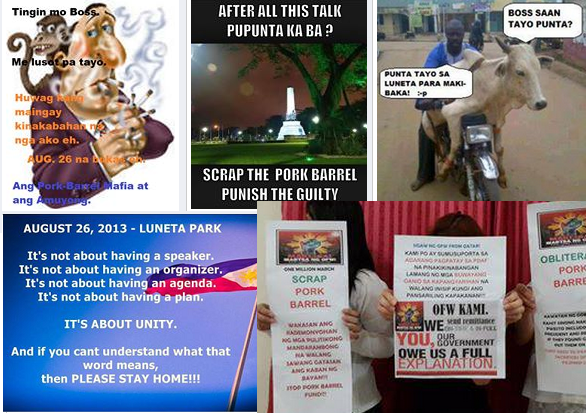 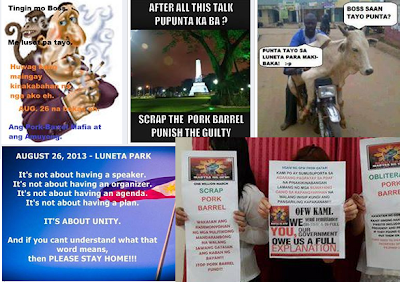 The march to scrap the pork barrel are the citizen's answer to the unscrupulous politicians. This is the right time and place to burst the dismay to the government. Some meme's posted in Facebook are really interesting and I can't help post it here. 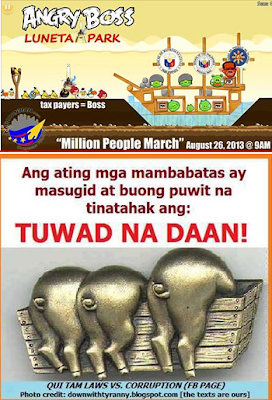 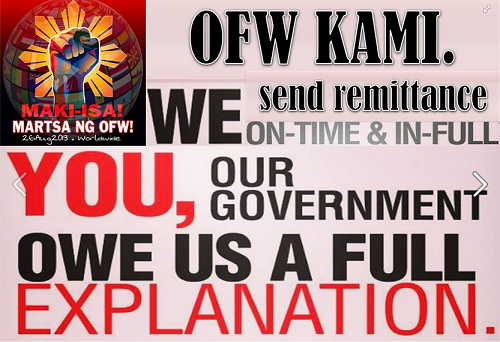 Photo source are taken from Facebook: PEBA, Inc. (Pinoy Expats/OFW Blog Awards) and Million people march to Luneta event.